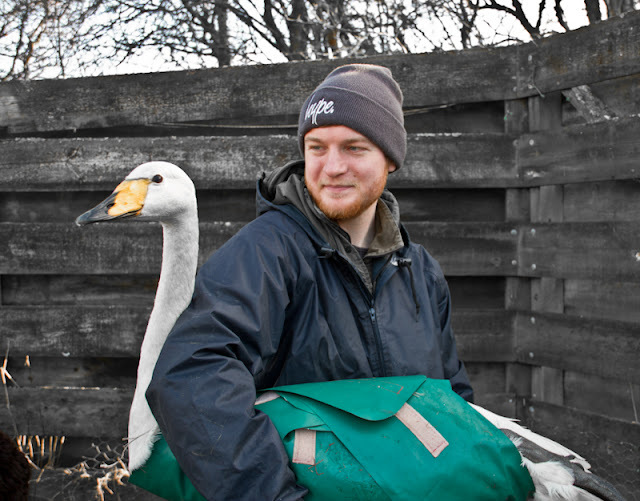 Today I was extremely privileged to be invited to take part in the annual swan catch at WWT Caerlaverock. 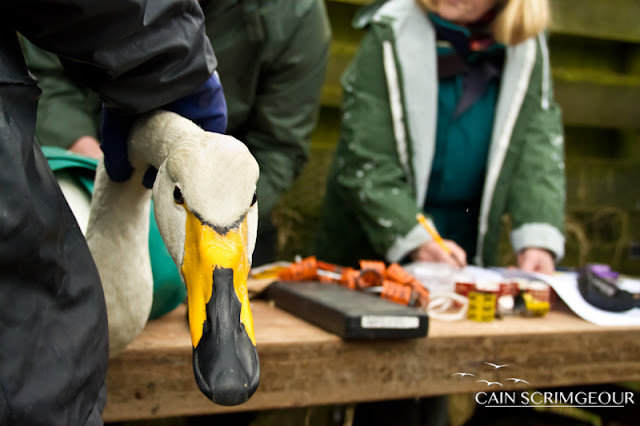 Roughly 180 Mute and Whooper Swans were caught, ringed, measured and released, with a number of birds having bloods and x-rays taken, in order to assess the amount of lead in each individual. Its was a great experience handling and working with these birds, there's something truly wild in the nature of the Whooper Swans. Stunning animals. That's fab! It must have felt magical! One man and his dog.....errrrr swan.